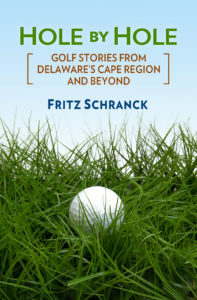 On Tuesday, March 26, I shivered near the Rehoboth Beach Country Club pro shop as the two golf teams from Cape Henlopen and Delmar High Schools struggled to finish their opening match of the 2002 season. The wind whipping off Rehoboth Bay was running at a gusty 25 knots or so, and the just-finished rain shower didn’t help. The smiles on the faces of several Viking golfers helped restore some warmth. On Wednesday, March 26, the Vikings hosted Indian River High School, and won again by 160-205. Micah and Reinie Vugrinec are another pair of siblings on the varsity squad. Reinie is a senior, and her brother Micah is a junior. Cory Groll is assisting Dorneman with coaching duties. Seven sophomores and two freshmen make up the Cape junior varsity squad. The tenth graders are Drake Chandler, Joseph Churchman, Brett Hertel, Erik Jenks, Emory Miller, Kurt Stephens, and John Zacharias. Joe Marker and John Purple are the 9th graders. The varsity’s next meet is an away match with Laurel on April 9. Rehoboth Beach CC held a breakfast tournament March 23. The team of Bill Tappan, Dr. Jim Beebe, Ken Michelbach, and Bob Taylor took first place with a 58. Dr. Ryan Barnhart, Penn Emerson, Jack Storms, and Dr. Dave Deakyne took second place on a match of cards with a 59 team score. Third place honors went to John Burris, Joe Farley, Joe Minuti, and Jim Wolfe. The fourth team winnings were awarded to Mike Stadtler, Rick Steele, Steve Hargest, and Tony Vari.